Great, excellent Yassine from Tunisia is looks like he’s having a career difficulties, and again I apologize if I’m pronouncing names incorrectly but apparently put a lot of money into an aviation education and is not having much luck. But I know we, we’ve talked about this a little bit before, but if you have any thoughts from Tunisia or that area? So I don’t know specifically about Tunisia. I will say that there are certain areas of the world, that there is not a huge amount of growth going on, in the airline industry. So you have to be willing to go where the demand is. And right now, there is a demand in Asia. There is a demand in central and south America. There’s some demand in Europe, of course. There’s demand in the United States but it requires. So don’t get discouraged. You didn’t make a bad decision. You’ve made a decision, and now, if you wanna pursue this. You need to look at where in the world best fits your experience and go there and apply. One of things that I find, I get, you know, some blogs and some feedback from people that talk about how negative it is. I grew up in Phoenix, Arizona. There wasn’t a lot of jobs in Phoenix, Arizona. I love being in Phoenix, my home is in Phoenix, my mom and dad live in Phoenix. I left and went to Michigan because that’s where the flying jobs were. And it snows in Michigan and it’s a lot colder than my home in the desert in Arizona, but I did what it took to pursue the job. So my question back to Yassine is, are you willing to do what it takes? And if you do, then turn the glass upside down you’ve gotten a lot of experience already. Let’s look at how you’re gonna make that next step. Right. So it’s only a bad decision if you give up and turn a different direction and then you come all this way for no reason. That’s correct, you can’t get discouraged. So many of my friends and colleagues from flight school, they did get discouraged. And what set them apart from, from me? I don’t have any skills that they didn’t have. What I did have was perseverance and I wasn’t taking no for an answer. Here’s a, another similar one, looking for a first job. Has a type rating in a B737 NG. And in the, Ismail in the Maldives. So that’s what I understand a beautiful part of the world but there may not be a lot of demand there and you may need to move somewhere else. So that’s right. So again, same answer as before. I would look at where the biggest demand is and I would go after it. With a 737 type rating, that doesn’t mean just like any, just like getting your commercial, your multi-engine, your ATP. That doesn’t mean the jobs are going to come and look for you. It just means you’re giving yourself a tool to advance your career by looking better in front of the, the pilot hiring committee or the pilot recruiter. You need to go out there and bang on doors. And I’m, I’m saying that fictitiously now because now it’s bang on email addresses I guess. You need to be out here trying to get the job. You need to be out there showcasing yourself as a 737 NG type-rated pilot. And talk to them about how you’ve learned crew resource management, multi crew experience, jet time. What are we doing? And I would invite Ismail to, to contact me directly. He should have my contact information. Let’s look at what you’re doing, I’m still here to help you. Just because you graduated and you’re gone, we still want to help you pursue your career dreams. 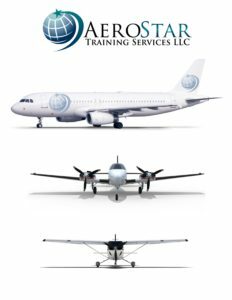 So utilize the resources of AeroStar, call us up, let us know what you’re doing and we’ll do our best to assist you to take that next step. UPS Feeder Route to Jet Job Without a Pay Cut? Right. Jesse from Ohio says, I’m making $300 a day, 7 days a week on a UPS feeder route. How can I move into a jet job without taking a pay cut? Well, first of all, Jesse, I flew 206s and 207s. Flying bank checks for a company called Air CSI out of Phoenix, Arizona. And so I understand in fact, there was a point in my career where I thought the 208 caravan was such a cool airplane that I would never make it there, so you’re in a good position, the pay is awful, this is a stepping stone job. You need to be applying to a twin. You need to build that multi engine time. Even though the Caravan is a great airplane and it’s turbo prop, need to try to make the next move into the regionals, and that might be a pay cut. I don’t know the answer to that. But it’s gonna be a worthwhile pay cut if you can build up some multi engine time. There might be some alternatives. Maybe on the weekends you could go get a job as a multi engine instructor. Or you could find a, a job working as a first officer flying a twin. You might even look at a company like Cape Air. Where you might be able to make a move fairly quickly from. Right seat to left seat. But the regionals need you. If you have 1500 hours and you have an ATP and a multi-engine instrument rating, you are needed by the regionals. But you may have to take a pay cut to go over there and get some jet time and some twin time. I would bite the bullet now, take the pay cut, so that you can make a huge leap in your career. Right, sometimes it’s a short term versus long term strategy. Like chess you know, sometimes you go back to move forward. Is it Still a Good Career Choice to be an Airline Pilot? Paula Williams: Again, if you have a question, please feel free to enter it in the chat window. We’ll start with some that we had. Is it still a good career choice to be an airline pilot? Does your career choice involve airline wings? – These are from British European Airways. Captain David Santo: Well, I think so. I don’t think people choose to be airline pilots because they think it’s a great career choice. I think being an airline pilot is almost a calling. It’s a passion. I’ve dealt with so many pilots, including myself, that I didn’t know anybody in the industry as a child growing up. My parents were not in the industry, but yet, if you ask my parents they will tell you that this is something I always said I wanted to do. If you’re following a passion if it’s something you’ve dreamed about doing, it’s a great career choice. That being said, Paula, probably right now is the best time we’ve seen in probably twenty years to be getting into the this career. We went through a long lull in the industry, and like every cycle as that cycle comes out we’re now going to go into a very long cycle of strong growth, which means there’s going to be high demand and high demand means that there’s going to be career opportunities, betting pay, better benefits really for pilots all over the world. I am very excited for the young people coming into the industry. I’m excited for the people that are joining the industry later in their careers. They want to make a career change in their 40’s or 50’s and become pilots. Those opportunities are going to be there now too. Paula Williams: Excellent. Well, it sounds like that’s good news. I know there’s a lot of people who look at some of the old movies some of the old Pan AM ads and things like and they say being an airline pilot is not as glamorous as it used to be. Is that true or what have you seen? Captain David Santo: Well, I think that’s probably a true statement. It depend on where you’re at in the world. Here in North America and Europe I don’t think the airline profession is particularly glamorous. It’s not the Catch Me If You Can movie actor set, but some places of the world it’s still very highly respected career. I even here in North America and in Europe it’s a very well-respected career. It’s a well-paid career. I think there’s lots of benefits associated to it that I think the layman employee would not really have the options to do. Glamorous I’m not sure if I know if it’s glamorous or not, but I would say it’s been a very fun career. I’ve truly enjoyed it. Paula Williams: Right. You still get to go lots of places. I think airline pilots still have a lot of perks being able to travel to places even when they’re not working things that other professions maybe don’t have. Captain David Santo: If you’re a person who thinks that a career is doing a time card, punching a time card, coming to work at 8:00 in the morning, taking an hour lunch break, and leaving at 5:00, and doing that five days a week, I think that a aviation career is going to be very glamorous. We have the best window seat office view in the world at 35,000 feet. We don’t punch a time card. We have days off. We have a very flexible and almost a very irregular schedule. There’s a lot of things about it that if you’re something who doesn’t like to be in the mundane grind of every day at work, I think you’re going to find an airline career definitely not your average job.